We are now less than 30 days away from the big event, Dragon*Con 2012, can you believe it? 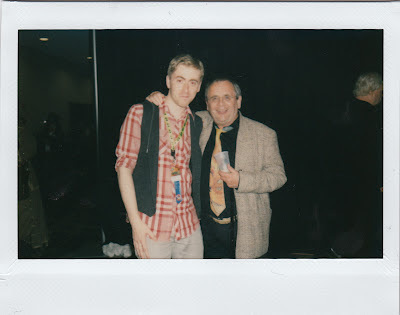 One of my favourite guests ever to meet at the convention has to be the immensely wonderful Sylvester McCoy. 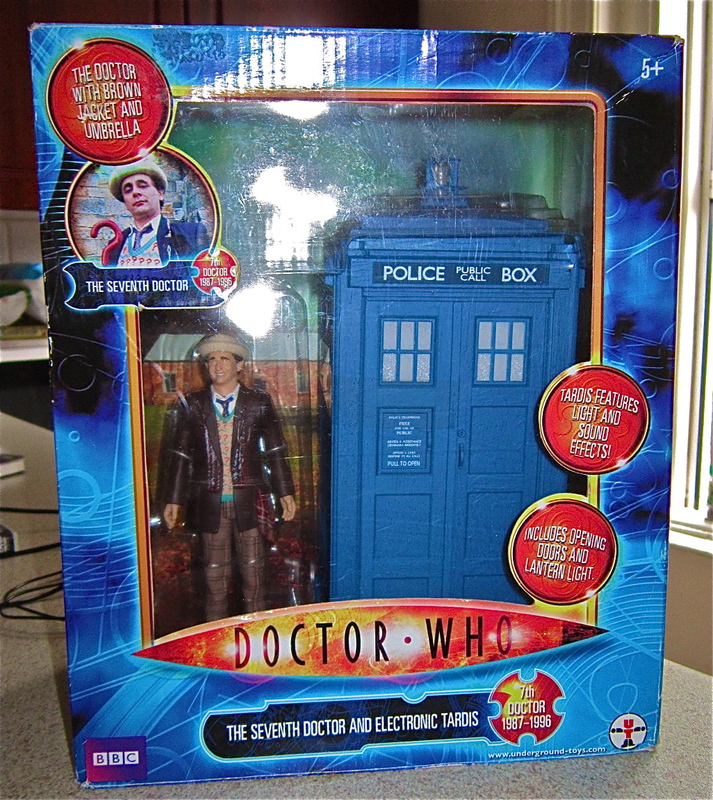 Not only was he the 7th Doctor Who (the one of my youth) but also he will be Radagast the Brown in the new Hobbit movies about to be released. Here is a picture of me with the man himself after he gave a hilarious performance at the Gonzo Panel Show last year. He also was front row centre, heckling me at my karaoke performance the night before too. I was shocked to see him later on at the karaoke night singing along to someone's Green Day rendition and dancing along to Rage Against The Machine too. Truly a man with many interests! So you see, I'm so excited to see him again at this year's Con that when I saw this on sale in the comic book store today... I just had to pick it up! 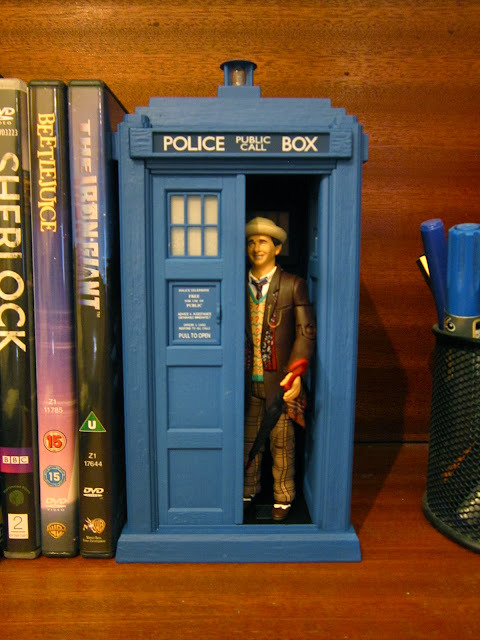 Indeed, here is the cheeky blighter on my shelf now. The TARDIS makes whooshing noises and everything! Well worth the cash.